Ever stumbled upon an awesome video and cannot watch it immediately? 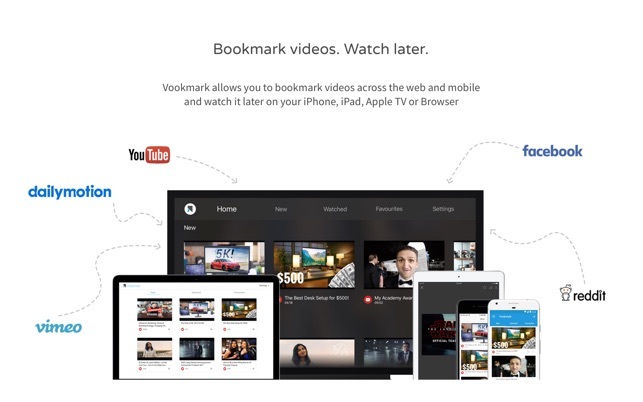 Vookmark allows you to bookmark videos across the web with a single tap and watch it later on your iPhone, iPad or Apple TV. No more copy pasting links in your notes app or remembering keywords to search the video later. How to add a vookmark? 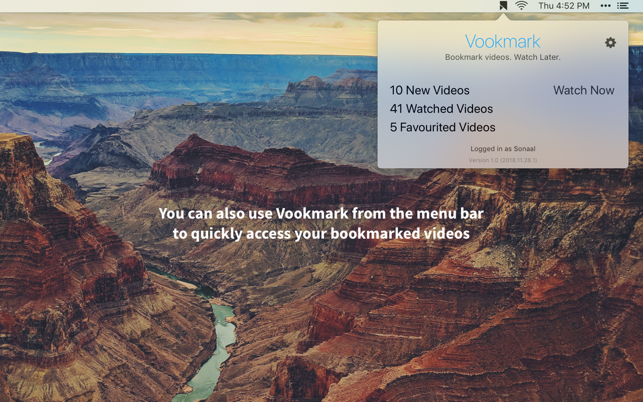 How to view a vookmarked video? and bookmark them easily so that you can watch them later any time, on any device. Even Save link or Watch it later options on sites require multiple taps to save or retrieve the videos when you are ready to watch them. 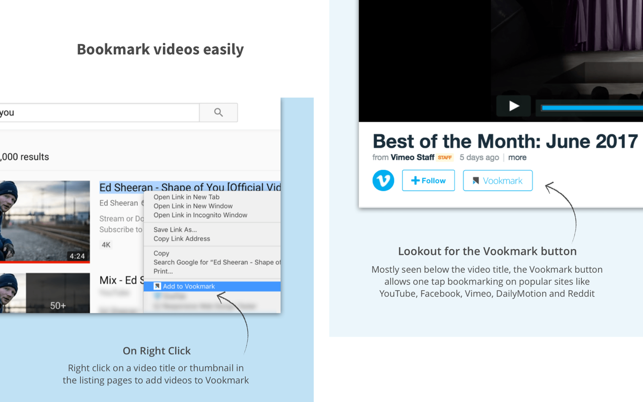 With Vookmark you can bookmark videos with a single tap using our browser extensions. We are also constantly working to make the service better each day. 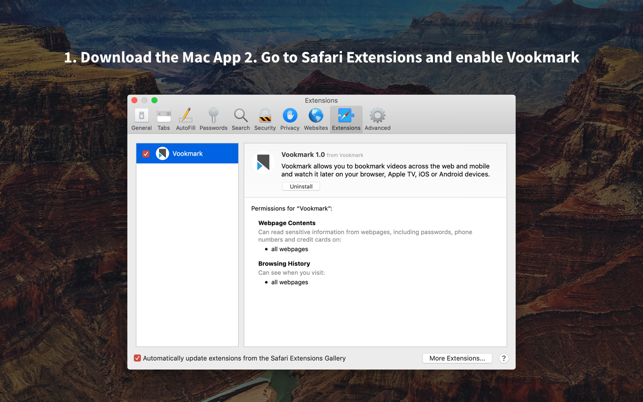 We would love to hear your feedback & suggestions to make Vookmark better. 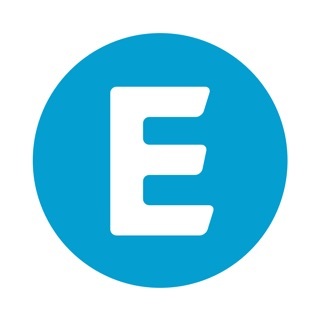 You can write to us on team@vookmark.co or get in touch even faster on Twitter @getVookmark.